This is an attractive spoon rest for your kitchen. 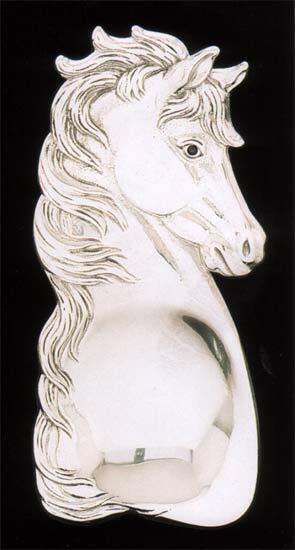 Lovely Horse Head Spoon Rest, 8″L x 3″w x 1″h Inspired by nature, Arthur Court crafts this cool, sand-cast aluminum into lustrous themes of nature. Each piece is individually crafted and polished by hand ,each piece unique. Arthur Court wishes to “put back” in a larger and more significant form through Conservancy donations that “the Joys of his Youth are not lost to the future”. Together , Arthur and Elena Court bring their talents together to form The Arthur and Elena Court Nature Watch Conservancy. A portion of every sale goes toward the Conservancy.One particular program they started was in 1991, the A&ECNWC has had a matching funds program with the Wild Horse Sanctuary. The Sanctuary has nearly 200 wild horses and burros running free without threat of being destroyed. ——————————————————————————- Care of Your Arthur Court Aluminum Serveware Wash your Arthur Court Designs aluminum serveware by hand with mild dish washing soap and dry immediately. DO NOT WASH IN DISHWASHER. The brilliant polished luster of your aluminum will be permanently dulled by the high heat of a dishwasher or oven. To prevent stains, remove all food and liquid â€” especially fatty acids, vinegar or salad dressings â€” from platter and vessels after use or insert a glass liner for food service. It is recommended that just prior to serving, your piece be wiped or sprayed with vegetable oil. By doing so, the oil will act as a barrier against highly acidic or salty foods, which may otherwise dull or discolor the finish. Unlike silver, Arthur Court aluminum products do not require regular polishing. 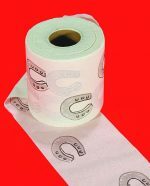 As needed, polish with 100% cotton flannel polishing cloth.